During a recent interview with Sports Illustrated, former WWE World Champion Big Show revealed that his next possible career move might not be inside the wrestling ring but could potentially be on the commentary desk. Big Show is currently working with the WWE on a much more lighter schedule due to his health issues. The 45-year-old has been making one-off appearances in the WWE throughout 2017 and has also been seen in a rivalry against "The Monster Among Men" Braun Strowman, against whom Show collided on many occasions this year. The former Intercontinental Champion also competed in a match against Big Cass at this year's Summerslam pay-per-view, which unfortunately ended up in a losing effort for the 7ft tall giant. Show's last TV appearance was on 4th September 2017 on Raw, in a steel-cage match against Braun Strowman. 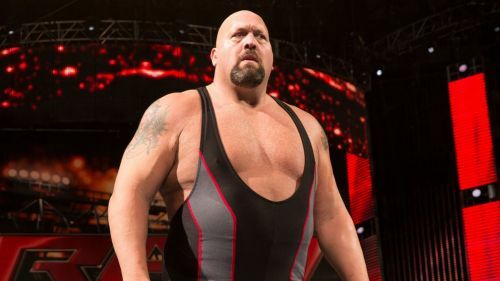 However, in a post-match assault, Big Show was thrown through the cage by "The Monster Among Men"; this angle was done by WWE in order to write Big Show off television as the former Tag Team Champion required hip surgery. During his interview with the Sports Illustrated, Big Show was asked if there is any sort of possibility of seeing the 45-year-old veteran joining the commentator's desk in the near future, to which Show replied by stating that it definitely remains a possibility for the near future. The former ECW Champion said that he has already discussed this situation with WWE commentators Michael Cole, Jerry Lawler, and JBL. However, he also added that he still needs to sit down with Vince McMahon and Triple H in order to know what's next for himself. Following his successful hip surgery, Big Show is already back training in the gym and is training to get back to his best. As of right now, it seems like Show is preparing for yet another run inside the squared circle and we could expect to see the 383-pound monster back inside a wrestling ring in 2018. Personally, I think Big Show will be a good addition to the commentator's desk, once he hangs up his boots from professional wrestling.